Create an innovative shop or kiosk that will operate 24 hours a day, 7 days a week, 365 days a year, providing the products of your choice to your customers, through vending machines. 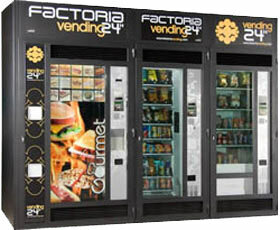 Gr Vending provides advanced vending solutions for the creation of 24hours shops and kiosks with its top quality units. Our machines can be customized based on your needs, offering a wide range of options for the automatic sales of everyday products, cigarettes, food, snacks, ice creams, frozen products, hot and cold drinks, cosmetics, gifts and parapharmaceutical products. 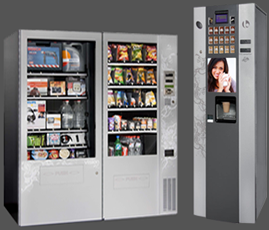 All vending machines come with the latest CPU technology, easy programming system and the ability to communicate with customers through easy and understandable instructions. They do not require the presence of staff to work.